The ESP32, the big brother to the wildly-popular ESP8266, has been out for a few years now and there are quite a few development boards based on it. However, most are larger than they need to be. That’s why Unexpected Maker’s new TinyPICO ESP32 stands out, because it’s significantly smaller than any other board on the market. TinyPICO is currently in the “coming soon” section of Crowd Supply, which means that they’re gauging interest for a crowdfunding campaign launch. We recently covered Unexpected Maker’s test jig for this board, and now TinyPICO is ready for production. It’s a fully-featured development board that includes everything you’d expect from the larger options already on the market, just in a much smaller package. In fact, TinyPICO is only 18 x 32 mm — appreciably smaller than even the ESP8266-based Wemos D1 Mini. 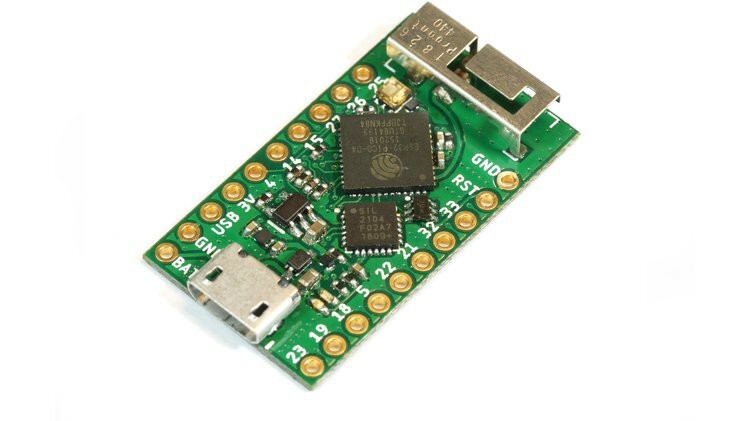 The use of the ESP32 microcontroller offers a number of advantages over the ESP8266. The most obvious is that it has a more powerful processor and additional flash storage and RAM. But, you also get Bluetooth in the package, which really expands your project options. The TinyPICO itself also offers some extras, including an added 4MB of PSRAM and onboard LiPo battery management. The extra PSRAM can be easily disconnected to save power if you don’t need it. TinyPICO will ship with MicroPython pre-installed, so it will be easy to program. But, if you prefer, you can also program it with the Arduino IDE or Espressif IDF. In order for this project to be launched, they need to see your interest. So, be sure to subscribe on Crowd Supply and you’ll get notified when TinyPICO launches. TinyPICO Is a Miniature ESP32 Dev Board Launching Soon on Crowd Supply was originally published in Hackster Blog on Medium, where people are continuing the conversation by highlighting and responding to this story.